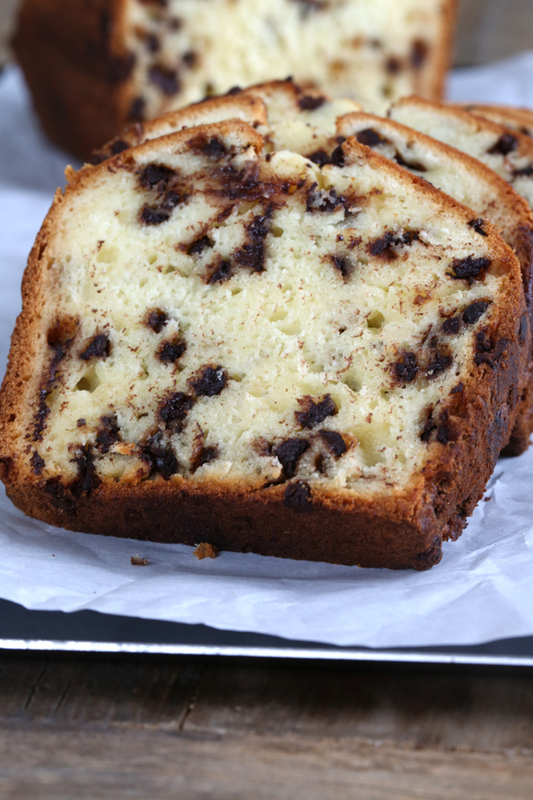 Chocolate Chip Yogurt Gluten Free Quick Bread | Great gluten free recipes for every occasion. 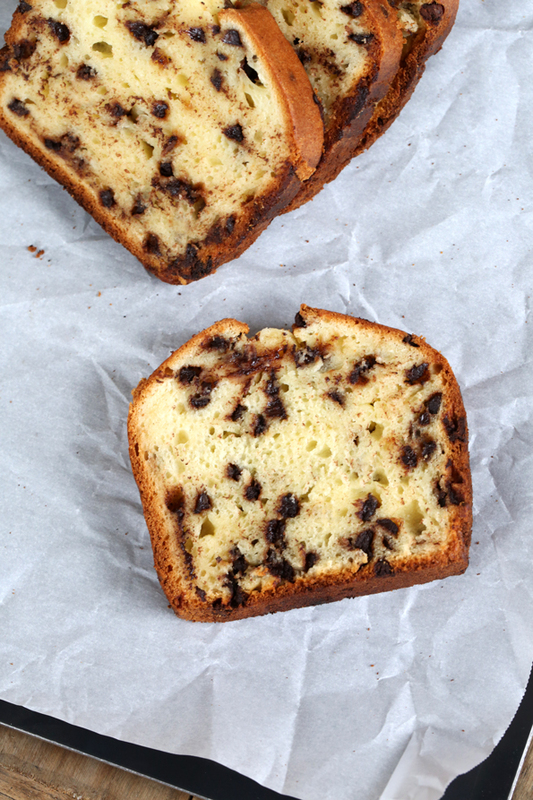 This super simple recipe for chocolate chip yogurt gluten free quick bread always makes a perfectly moist and tender loaf! You’re not going to make a sandwich on a loaf of gluten free quick bread (although my son never seems to tire of asking), but they still hold a special place in my heart. That’s probably why there are quite a few quick bread recipes here on the blog, and still more in GFOAS Bakes Bread (in Chapter 8: Yeast-Free Quick Breads). They usually come together pretty quickly (ha ha). Even though they’re very similar to muffins, not just any muffin recipe can be successfully baked into a loaf. Anyway you can’t really fix yourself a really nice thick slice of muffin, and spread it with butter or drizzle it with honey. Can you? I mean, I guess you could but it might be weird. 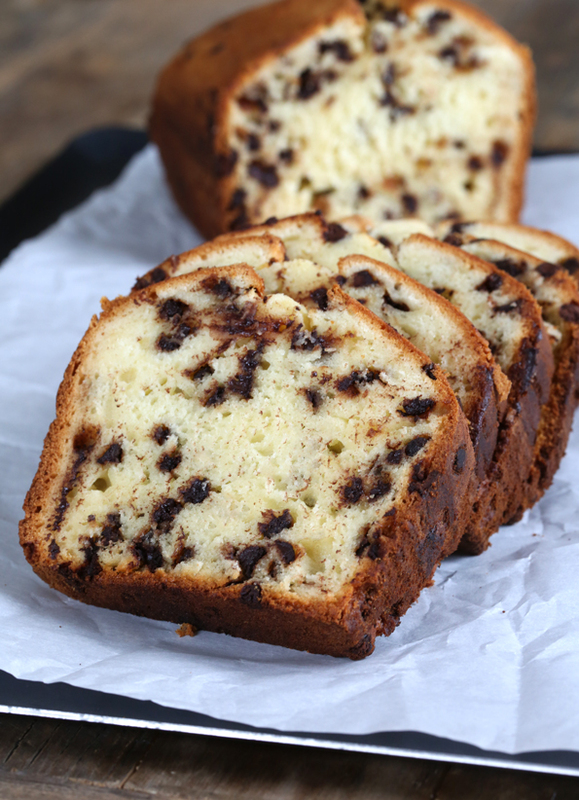 This gluten free quick bread is even simpler than most, with a really easy ingredient list. I made mine with miniature chocolate chips. Just 3 ounces of chocolate chips goes a long, long way. You could just as easily make yours with some small dried fruit (I bet chopped dried apricots would be fabulous) or even chopped nuts (raw, chopped pistachios would be heaven). If you would like a nice dome shape, just be sure to follow the shaping instructions in the recipe. It’s really easy with wet hands (a cook’s best tools!) and a wet spatula. Of course, it’s not really too important for the loaf to split where you say it should during baking. It just makes for a pretty presentation. The bread is moist and tender, with a nice mild tang from the plain yogurt. You could also use a flavored yogurt, but I never like to bake with flavored yogurts. I’d rather add the flavor separately. That way, I can hit all the right flavor notes and keep it simple. I know I can’t quite bake this gluten free quick bread for you, but you can see just how tender it is, right? Baking with yogurt will do that to a bread. Preheat your oven to 350°F. Grease well a standard 9-inch by 5-inch loaf pan and set it aside. In the bowl of a stand mixer (or a large bowl with a hand mixer), place the flour blend, cornstarch, xanthan gum, baking powder, baking soda, salt and sugar, and whisk to combine well with a separate, handheld whisk. Create a well in the center of the dry ingredients, and add the butter, yogurt and eggs. Mix on medium speed to combine with the paddle attachment (or your handheld mixer) after each addition. The batter will be thick. Add the chocolate chips tossed with cornstarch, and mix with a spatula or spoon until the chips are evenly distributed throughout the batter. Scrape into the prepared baking pan and, with wet hands, smooth the top. To create a dome shape, run a wet spatula along the edges of the pan and pull the batter toward the center. For a uniform split down the center as the bread rises in the oven (instead of a more haphazard split), slash down the center of the loaf with a sharp knife, about 1/4-inch deep. Place the pan in the center of the preheated oven and bake for 30 minutes. Reduce the oven temperature to 325°F, and continue to bake for another 20 minutes, or until the top of the loaf springs back when pressed lightly and a toothpick inserted in the center comes out with, at most, a few moist crumbs attached. Remove from the oven and allow to cool in the loaf pan for 15 minutes before transferring to a wire rack to cool completely. Slice once cool and serve. P.S. Got your Gluten Free on a Shoestring Bakes Bread? Thank you for supporting my books, which help make the blog possible! Hi Nicole! I’ve lurked, shared on FB for over a year now. I received all my baking needs products a week ago and put everything off because I didn’t have a mixer. Today I get a mixer! I’m an actual Chef/Baker by trade (12yrs) but gave all my things away once I pound out I was gluten intolerant plus I have a daughter with mild autism. THANK YOU for all the resources you’ve given especially Better Batter. We are also a vegan household so the subbing of ingredients is natural in our household. For those that are dairy free they could try Earth Balance. Certified GF. Also Smart Balance same company but cheaper since its not Organic. Our household uses mostly Organic non-gmo products. Because of you i’ve decided take on the joy helping educate others about the joy and health benefits of preparing GF foods. My family wants me to start my own business. Not sure if I want to do that again. Thank You for giving me back my passion for food! Stumbling Over Chaos :: Holy crap, linkit got totally out of hand when I wasn’t paying attention! This looks really good! I love the idea of pistachios in this- maybe part pistachios and part chocolate chips. 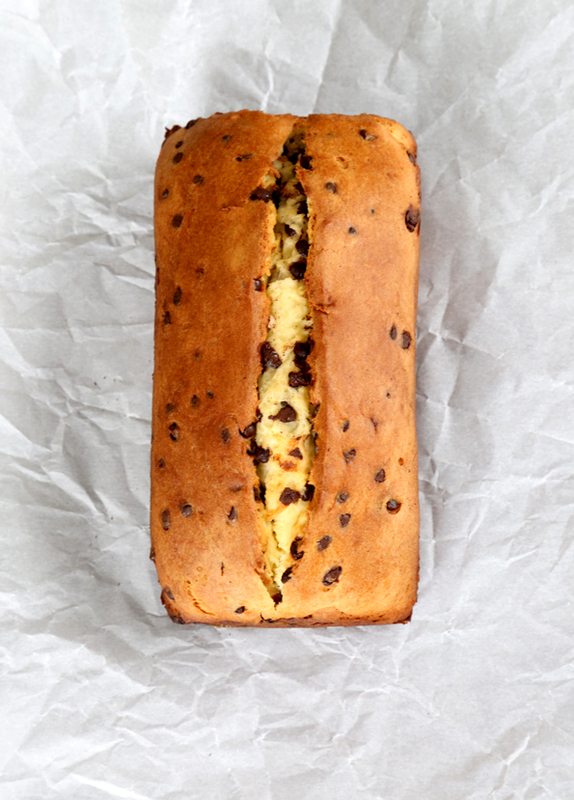 Ooh- or maybe I’ll try some orange or lemon peel with the chocolate chips. Dang it- I was going to make some GS cookies tomorrow, but I think I will be making this instead! Making another loaf of oat bread tomorrow- I love that recipe. Thank you, as always! oooo – me too! pistachios! yum! have made chocolate chip cookies, low fat blueberry muffins, english muffin bread and lean crusty white sandwich bread, not successful on last one but is that going to stop me NO. I am going to try again. I am counting down to 4 days off in a row so i can get BUSY! 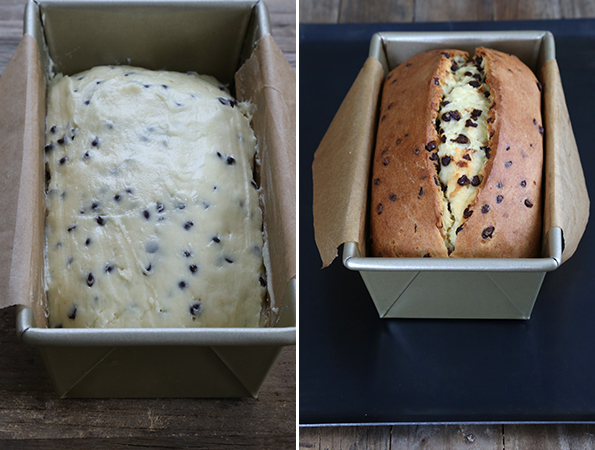 This looks like a tasty project to get the baking juices flowing! These days I only ever seem to have Greek yogurt. Could I thin it down a bit an use it instead? ann – I plan on using greek yogurt in this recipe too! :) all we can do is try. I can’t imagine it will turn out badly, Nicole’s stuff never does! I used nonfat plain Greek yogurt and it worked great. I also replaced the butter with applesauce and used dark chocolate chips instead. This bread is so moist and tender!! This is definitely right up your little girl’s alley, Dana! That bread looks heavenly. Made strawberry pound cake muffins again today so the bread will have to wait til tomorrow. Oh, larger print would be heaven for these old eyes. I’m not sure if you mean larger print in the book, but if you are meaning larger print on the computer screen then you can hold down your Ctrl button and roll the wheel on your mouse to enlarge any print on your screen. Just a tip! I do so loooooooove Nicole for making us such yummy recipes to follow! All browsers are a little different, but in all of them, you can adjust how it prints. Simply look around in the print settings for a zoom or size percentage, and increase it until you’re happy with it. Or, just copy and paste the text out of the print version (without printing it), paste it into a Word document, and make the text as big as you like! You can also make the font within the browser larger as well, for when you’re just reading web sites. Thank you so much for jumping in, Donia! On a Mac, I increase or decrease the size of whatever is open in the window on my screen by pressing down [command] and either [+] or [-]. When you say “plain yogurt” do you mean Greek or unflavored regular yogurt? If I mean Greek yogurt, I always specify. Plain yogurt is unflavored, regular yogurt. Could you use a non-dairy yogurt like So Delicious coconut yogurt? BTW, I made my best ever loaf of English Muffin bread this weekend. It was light with beautiful consistent air holes. Why can’t I show you a photo? We devoured it! I really am getting better every time I make the new breads. And as a testament to the the taste and texture and relative ease of your bread recipes, I haven’t bought a single loaf of bread since I baked my first loaf from GFOAS Bakes Bread! Thank you, thank you for delicious, quick, and easy recipes. Candice, I had to buy GF bread last week when my oven was broken. Oh my God it is horrible! My worst loaves from GFOAS Bakes Bread (ones that did not rise enough) were 1000 times better! To think we used to eat that stuff! To say I was thrilled to get my oven back is an understatement! Here’s hoping I never have to go without an oven again! So glad your oven is up and running and you’re back in business, Mare! Hope your little girl is feeling better soon, Candice! I am so glad you’re enjoying baking bread from the book, and that you’re getting better and better at it. That’s the way it goes with yeast bread, and when you get there, the rewards are so sweet!